Robert Luff & Co are delighted to offer to market this semi detached bungalow being completely refurbished to a high standard by the current owner. Ideally situated close to the beach and with views over Brooklands Park. Accommodation offers entrance hall, good size lounge, refitted kitchen and bathroom, three bedrooms, conservatory and a lean to. Outside there is an impressive two tiered garden, off road parking for multiple vehicles and detached garage. Wood effect flooring, radiator, storage cupboard housing combination boiler and electrics, loft hatch. Double glazed window, double glazed door leading to the conservatory, radiator, TV point, feature wall mounted electric fireplace and wood effect flooring. Fully double glazed, wood effect flooring, radiator, electric points, double glazed door leading out to the rear garden. Double glazed surround windows, electricity points, sliding door to driveway and door to rear garden. Double glazed bay window to West aspect overlooking Brooklands Park, radiator, wood effect flooring, TV point, built in wardrobe and feature wall. Double glazed bay window to West aspect, wood effect flooring, TV point (needs connecting), feature wall. Double glazed window, wood effect flooring, radiator, TV point (needs connecting). 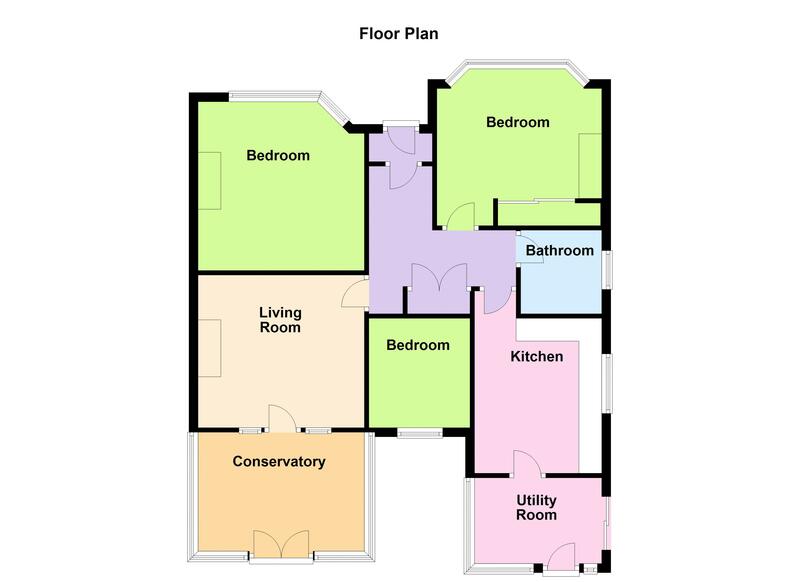 Matching three piece suite comprising panel enclosed bath with mixer tap and shower over, pedestal wash hand basin with matching mixer tap, low level flush WC, tiled floor, tiled walls, heated ladder radiator and frosted double glazed window. Gated entrance to the driveway providing off road parking for multiple vehicles. Feature two tiered garden separated with a wall with gate, newly laid steps leading to the rear of the garden. Mainly laid to lawn with patio area on the lower garden, timber shed, fully fence enclosed.